Not a fan of the helmets currently available to motorists? Then you should have a word with Jyo John Mulloor, who disliked them so much that he sought to design his own. 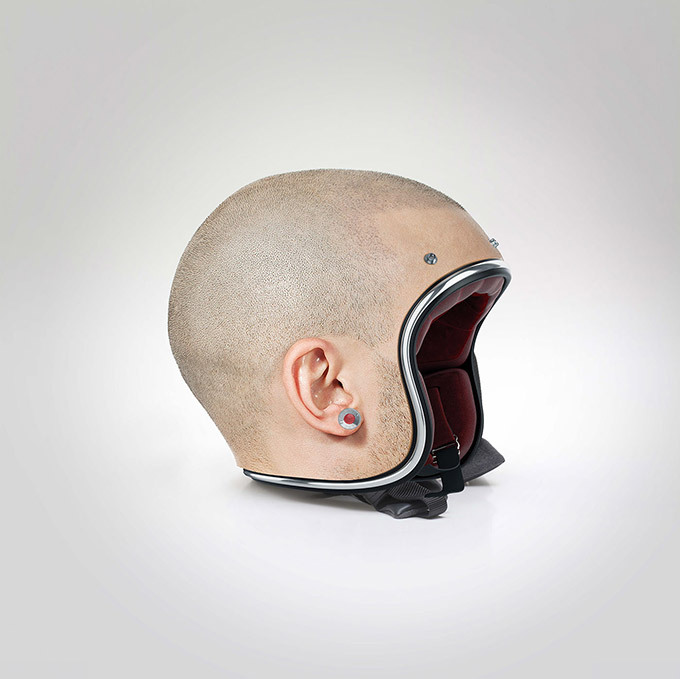 Dubbed Project:HumanHelmet, his lightweight helmet features a very unusual (and personal) design: your own head. An image of your head is basically taken and used to “design” the helmet, so it’ll look like you’re not wearing one. Enforcers checking if you’ve got a helmet on or not might not be fans of this, but motorists who appreciate a unique design might. Hair loss can be a pain to deal with. There are many hair growing treatments available, ranging from non-invasive shampoos and topicals to the excruciatingly-invasive hair plugs and implants. Somewhere in the middle of this is the Theradome, which is a helmet that shoots lasers at your scalp to simulator hair growth. The Theradome is the brainchild of Tamim Hamid, a former NASA research engineer. The headgear should be worn twice a week for 20 minutes. 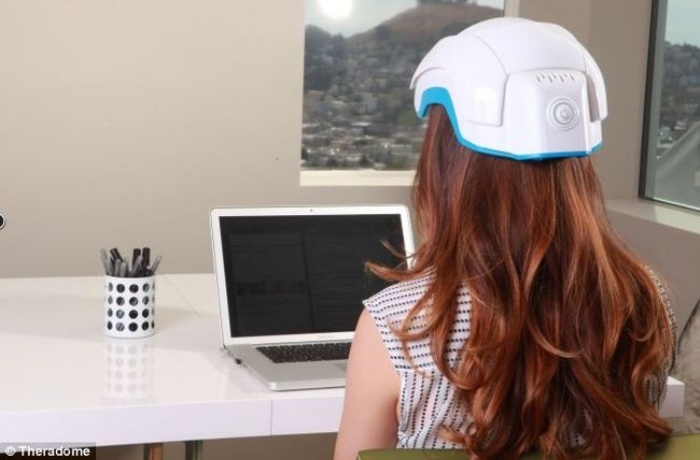 Users can expect to see results in 3 to 4 months, as the helmet’s lasers will retard the shrinking of hair follicles to prevent hair loss. 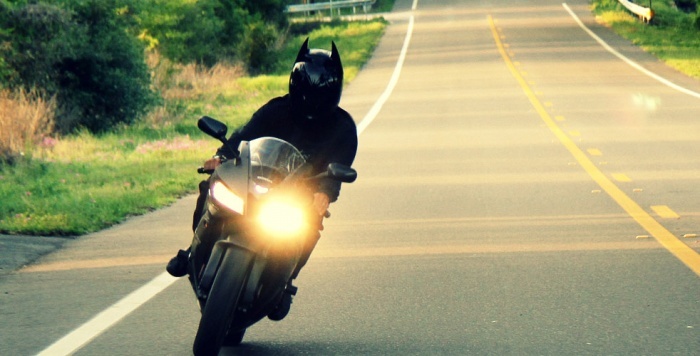 You might not have a Batcycle nor a bat cave to park your ride in. 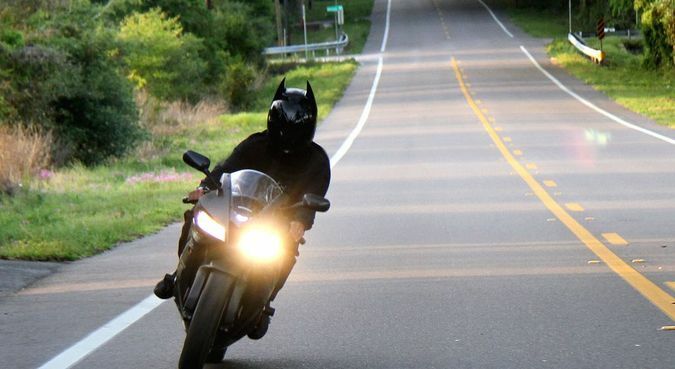 But you can at least ride in style (and in the image and likeness of the Dark Knight) with this awesome Batman motorcycle helmet. It’s DOT certified and comes with interchangeable visors, so you can go from clear to tinted, depending on the riding conditions. The helmet, which has Batman’s signature pointy ears, is made using a proprietary elastomer formula that’s durable yet flexible and pliable. It’s available in a range of sizes, from XS to 2XL, so you’re bound to find one that fits. 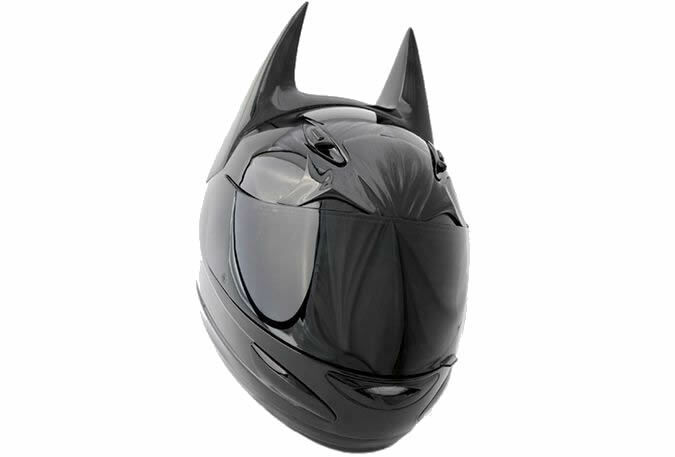 The motorcycle riders among you with a special hankering for all things Batman will surely get a kick out of the above helmet. It’s made by HelmetDawg and is fully DOT certified, meaning you can don it on your bike while still safe in the knowledge that at least your head will come out of an accident somewhat intact. It’s based off GMax’s GM48S helmet, but the ears and other custom parts are made from “a breakthrough proprietary elastomer (polymer) formula” and are not just cheap stuck-on additions. The rest of the helmet has a bunch of very neat features that people might want in such a product, like adequate venting and room for a communication system. Considering it’s $325, we’re going to call it a decent deal. The Mamoris looks like your typical chair, except for its dome-like design at the bottom of the seat. Upon closer inspection, it might look like one of those bedside commodes, albeit a particularly futuristic-looking one. But it’s not a portable toilet, though. Rather, it doubles as a helmet in case you find yourself in danger from being injured from falling objects, like, say, during an earthquake. 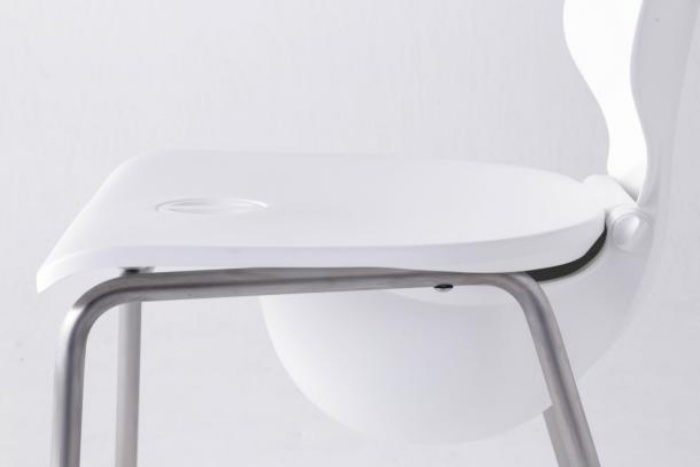 It was designed by Japanese industrial designer Kota Nezu of Znug Design in collaboration with design firm Poplife. It makes sense, since hundreds of earthquakes rock Japan every year. The Mamoris was unveiled recently at Tokyo Designers Week, which wrapped up yesterday.